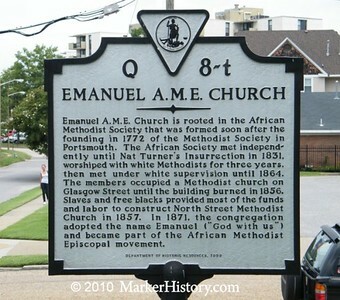 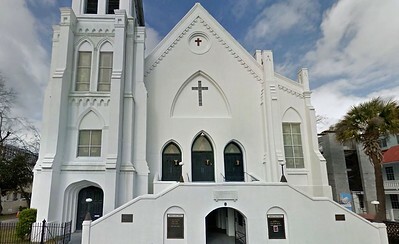 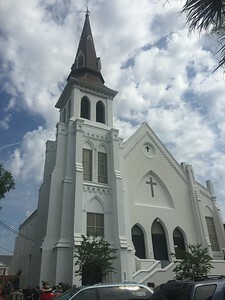 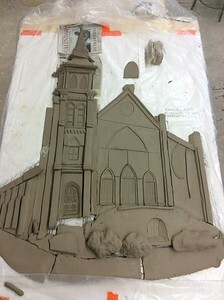 This gallery documents the creation of the Emanuel AME Church Sculpture over its three month creation and its subsequent place as a recognized memorial that pays tribute to the Emanuel African Methodist Church of Charleston, SC and the Emanuel Nine. 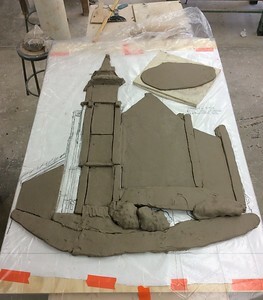 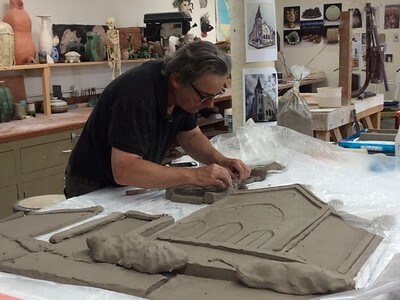 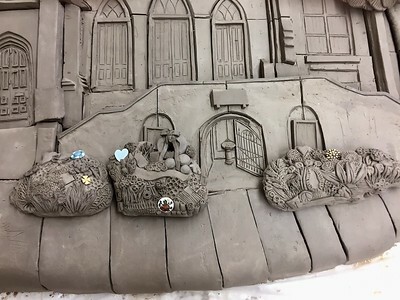 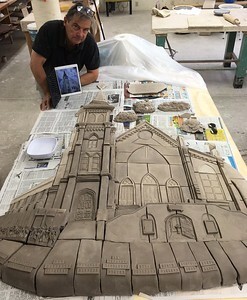 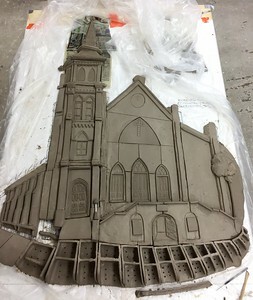 This porcelain sculpture is a portrait of the Emanuel AME Church; this gallery shows the step by step process of the creation, transportation and delivery of this memorial that pays tribute to the Church & the Emanuel 9. 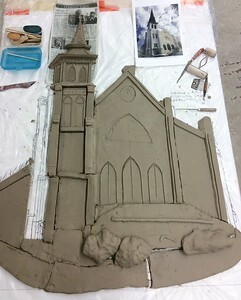 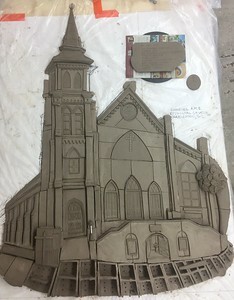 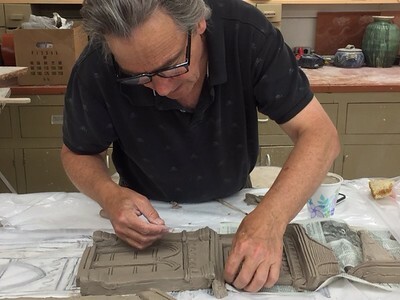 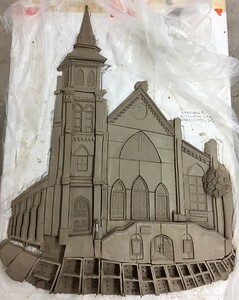 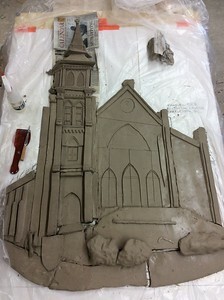 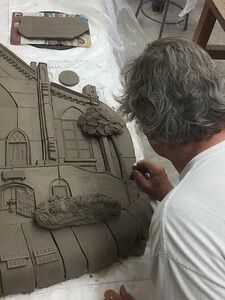 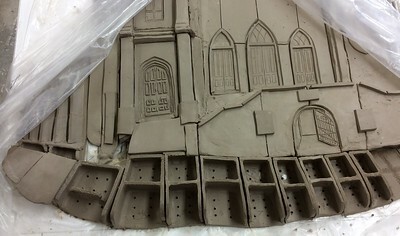 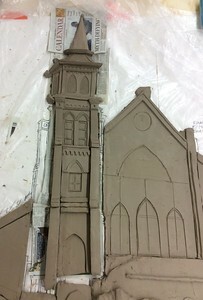 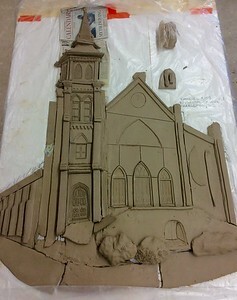 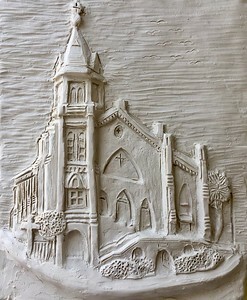 I was contacted by the Low Country Freedom Reigns Festival to create a relief sculpture of the Church. 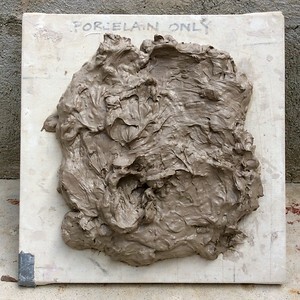 This was the first study I did, a 7" x 6" porcelain tile. 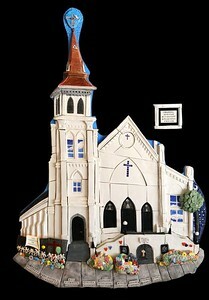 It was designed to be produced as an edition of 1000 to help as a fundraising tool for the Church. 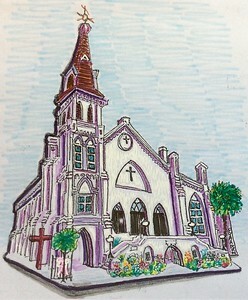 All proceeds are to go to the Church once the edition is struck. 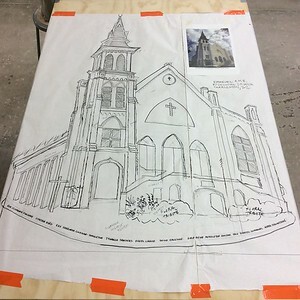 Template drawing for Emanuel AME Church sculpture; 6'9" x 4'2"
This type of drawing, referred to during the Renaissance as a "Cartoon" is the map used to shape the wall relief this will turn into. 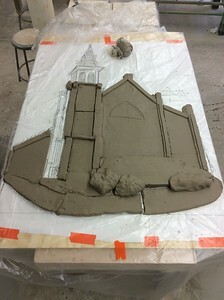 This is about when the task becomes really daunting. 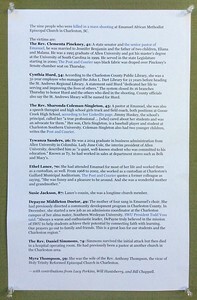 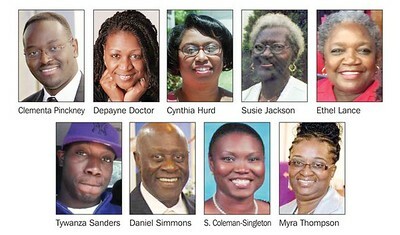 The names of the Emanuel 9. 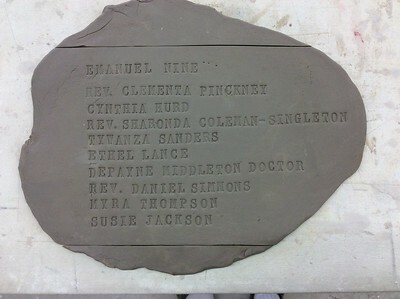 The first lettering study for the memorial. 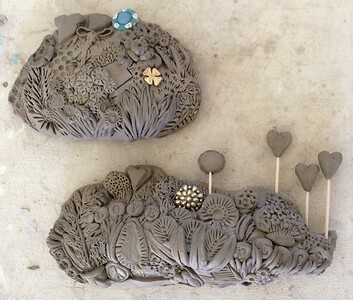 Floral tributes, final detailing before the application of the names. 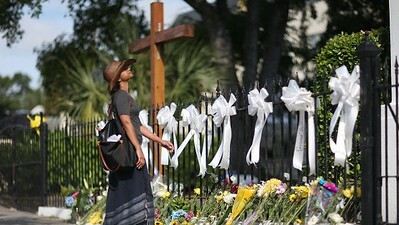 Photo by Peggy LaCerra that garnered more than 1400 likes on Facebook in 2 days. 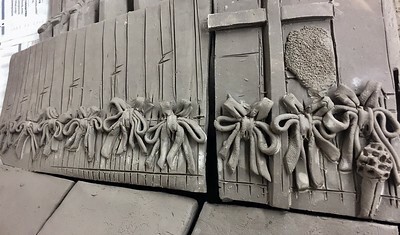 These ribbons were one of the most difficult parts of the piece.